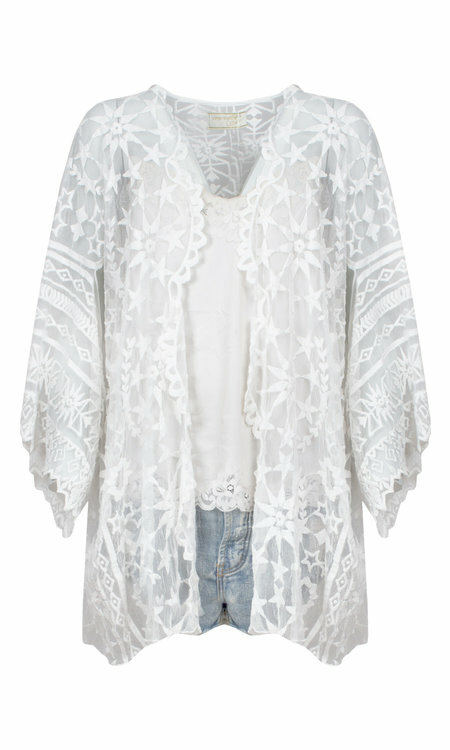 Cool long embroidered lace jacket with Japanese kimono sleeve. 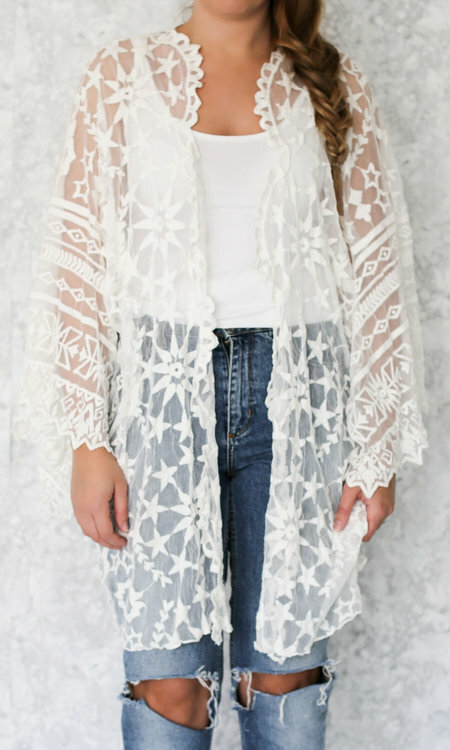 Wear it with a pair of shorts or leggings. Also available in a short style.